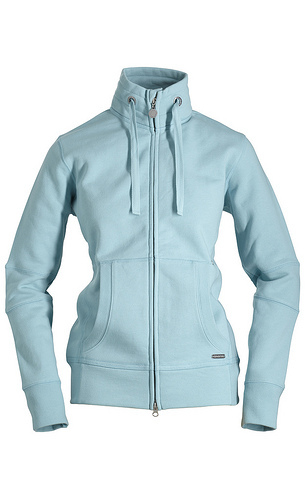 A modern, stylish zip through sweat jacket with stylish badge details it is slightly shaped to compliment the figure. It is as useful as it is comfortable. It will become a firm favorite for relaxing, going to the gym or riding your horse.